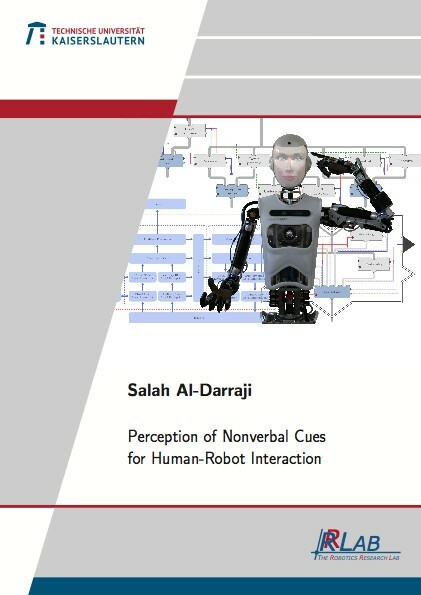 This thesis contributes to the development of a biologically inspired nonverbal feedback perception system for human-robot interaction. The system recognizes nonverbal feedback of interaction partner during the conversation. Based on psychological concepts and ideas, it comprises two major cooperative phases: bottom-up and top-down information processing. The bottom-up phase starts with the primitive data received from the sensory system, processes them, and propagates the perceived cues to the higher levels to carry out more sophisticated analysis. The top-down uses the contextual information to guide the perception process. Starting from the perceived nonverbal cues and the expected feedback, the system, in this phase, focuses on a particular kind of information that is relevant to the ongoing event.